The Crab at Chieveley boasts sumptuous rooms, all individually designed, many with private hot tub gardens. 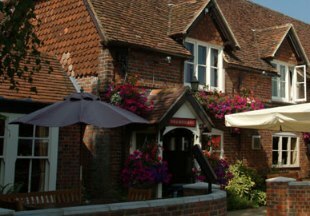 Located three miles outside Newbury in the beautiful Berkshire Downs, The award-winning restaurant is renowned for its seafood. Welcome to the Bunk Inn, a quintessentially English inn. 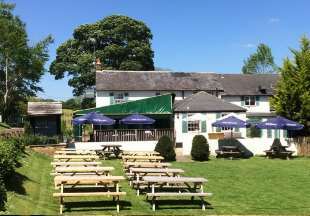 Set in the picturesque village of Curridge, the inn oozes history and character and is justly proud of its food, locally sourced wherever possible. AA 4 Star Inn, 2 AA Rosettes for Food. Situated in the beautiful Lambourn Valley but only 3 miles from junction 14 of the M4, the Queens Arms offers 12 individually styled guest bedrooms. AA 4 Star Inn. Owned by Henry VIII and visited by Queen Elizabeth I, this historic 13th century hotel successfully blends historic features with modern design. 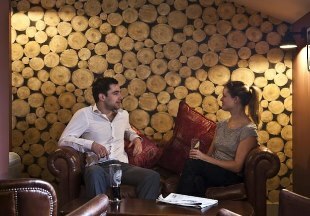 Relax in the contemporary bar serving light meals and drinks all day, or in the stylish brasserie. The hotel rooms are simply stunning with comfortable beds, Egyptian cotton sheets and refreshingly great showers. 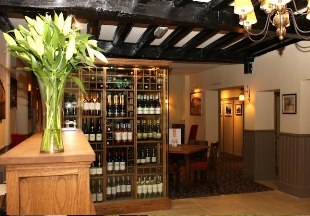 This modernised 5 star coaching inn provides restful rooms with a rustic elegance, and simple, tasty local food. The inn's crooked floors bear witness to its age: parts of the building date back to 1135. In warmer months, enjoy local ales and food from the ‘summer kitchen’ in the huge meadow garden. In winter, relax by the open fires in the cosy bar. Wi-Fi internet is available throughout. The Olde Bell is one hour from Central London, and 20 minutes from Heathrow. 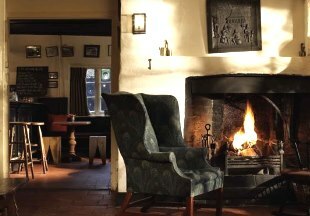 The stylish Pheasant Inn boasts a characterful restaurant and atmospheric bar with an open fire. This pet-friendly inn offers free Wi-Fi and free private parking. Perfectly located for exploring Berkshire, just a 2 minute drive from junction 14 of the M4. 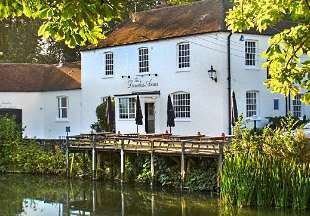 The historic Dundas Arms boasts a lovely canal-side position and is furnished in a country house style. 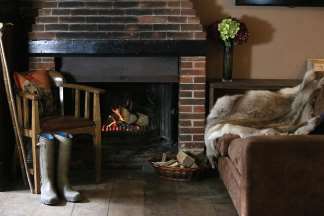 The inn features cosy log fires indoors and dining al fresco in the summer by the waterside. AA 4 Star Inn. 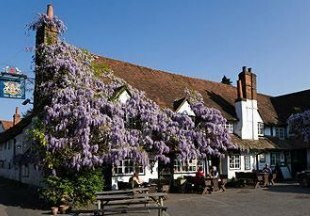 Originally a 16th century coaching inn, The Bull is located in the pretty village of Sonning-on-Thames. This half timbered village inn, mentioned in Jerome K Jerome's 'Three Men in a Boat', offers seven refurbished en-suite bedrooms and is renowned for excellent food, wine and Fuller's real ales. Situated in the delightful Berkshire village of Thatcham just a few miles from Newbury, the Swan's lounge and bar serve traditional, freshly prepared meals at lunch and in the evening. For a quieter or more intimate experience, meals are also served in our restaurant. 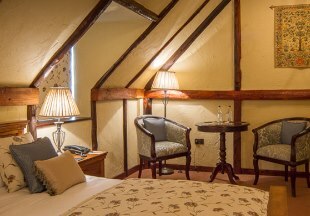 The inn also offers 5 newly refurbished en-suite rooms in a converted stable block. Part of a row of 16th century cottages, the historic Royal Oak boasts plenty of character with its log fires and oak beams whilst retaining all modern comforts. 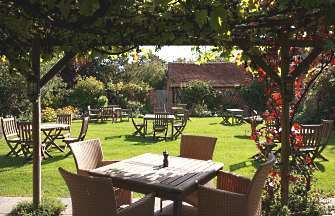 Outside is a lovely walled garden, perfect for those long, lazy summer days. Welcome to our handpicked selection of some of the best hotels and inns in Berkshire. 'Royal' Berkshire is home to Windsor Castle, a royal residence for over 900 years. Lovely riverside villages line the River Thames as it winds its way through the pretty countryside. Sonning-on-Thames was described as "the most fairy-like little nook on the whole river" by the author Jerome K. Jerome in his novel, 'Three Men in a Boat'. Berkshire is also home to Newbury, Bracknell and Reading, at the heart of England's Silicon Valley. Fans of TV's 'Downton Abbey' will want to visit Highclere Castle and lovers of the sport of kings will be sure to enjoy the races at Ascot. With its easy proximity to London, Berkshire is an ideal destination for a short break in the countryside. The picturesque villages and country inns are the perfect antidote to the working week in the city! We have selected some of the best hotels and inns in Berkshire to help you plan your perfect escape to the country. "Berkshire's position between London, Oxford and Bath means that the county boasts many historic inns needed to accommodate the coaches, travellers and horses. 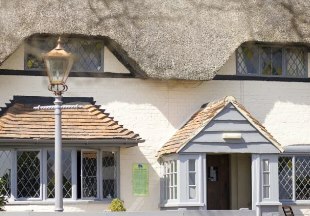 The 14th century Bird In Hand has been welcoming travellers for over 600 years and even hosted King George III. The AA 5 Star Olde Bell at Hurley is even older, as its nooks, crannies and crooked ﬂoors will confirm!" Berkshire is bordered by Oxfordshire, Buckinghamshire, Greater London, Surrey, Wiltshire and Hampshire. If you need to widen your search, why not browse through our selection of hotels and inns in Oxfordshire, Buckinghamshire, London, Surrey, Wiltshire and hotels in Hampshire.